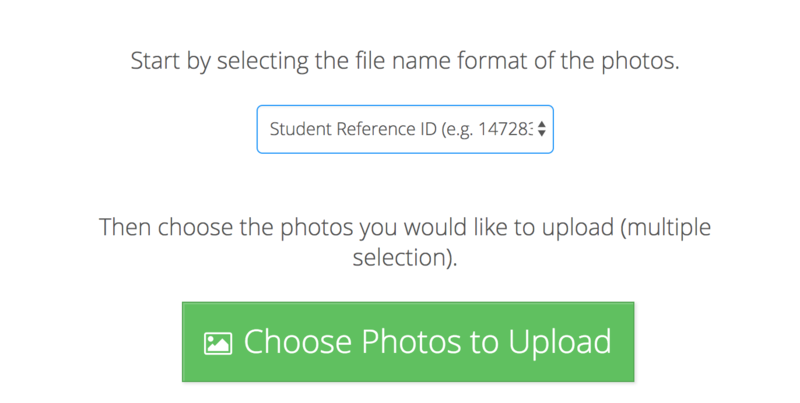 This will take you to the photo-upload page. Note: It's a hidden page in the software as it is usually only used once per year. Last name then first name i.e (Last_First.jpg) - Case sensitive. Click the highlighted box below to choose your format. Once you have chosen, then click 'Choose Photos to Upload'. - Number of photos that match a student. Once you hare happy with that, simply click on 'Complete student Import'. Please let us know if there is anything else we can help with by clicking on the blue chat icon in the bottom right hand corner of this screen.